Valse-Caprice. For violin and piano. 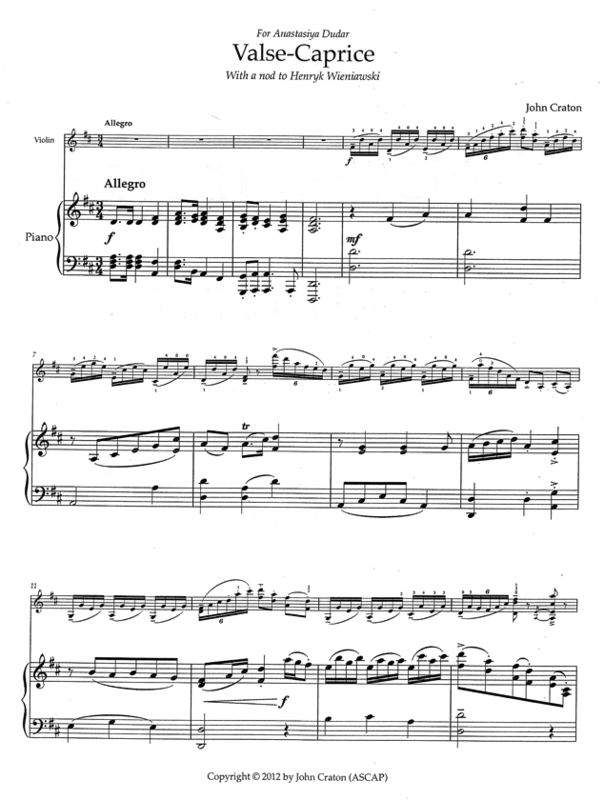 A short showpiece-style work composed with a nod to Henryk Wieniawski. This piece was written for and dedicated to violinist Anastasiya Dudar. Performance Time: App. 3½ min.